The PADI Discover Scuba Diving programme run by Big Squid allows your team to experience the thrill of diving – in a private swimming pool. According to your company requirements, Big Squid offer corporate team building days, evenings and weekends. It’s silent underwater! This means effective communication planning, problem solving and teamwork are paramount. 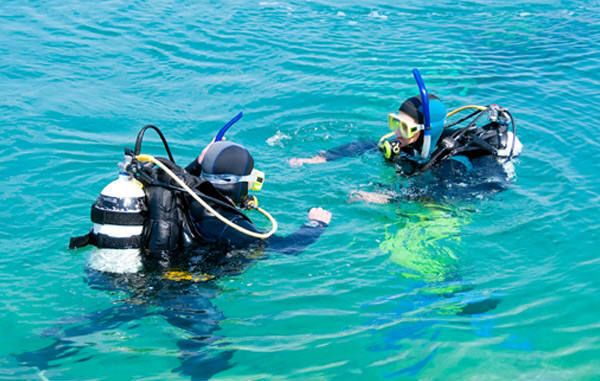 PADI’s Discover Scuba Diving Course is our most popular entry level corporate course. 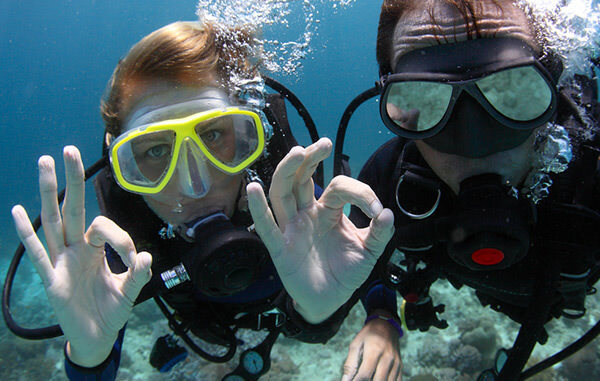 Companies have found that scuba diving experiences help them to improve Teamwork Planning and Communication skills. If some of your members already dive we can cater for their next level of training or run underwater treasure hunting days for them. Private Dive adventures abroad and in the UK accompanied by Big Squid instructors. Management of your company’s Dive Club.